Founded by Dr. Ronald Bush, MD, FACS, Aesthetic Vein Training is dedicated to supporting physicians and other healthcare professionals by offering conferences, symposiums, and one-on-one training in a clinical setting. AVT provides training for physicians that treat veins and venous disease, as well as nurses and RVT’s that specialize in vein care. We cover a variety of topics including leg veins, facial veins, breast veins, arm/hand veins, cutaneous venous hypertension, perforators and more. If you are contemplating starting a vein care practice, or currently have a vein care practice, we can also show you how to run a successful vein treatment center. 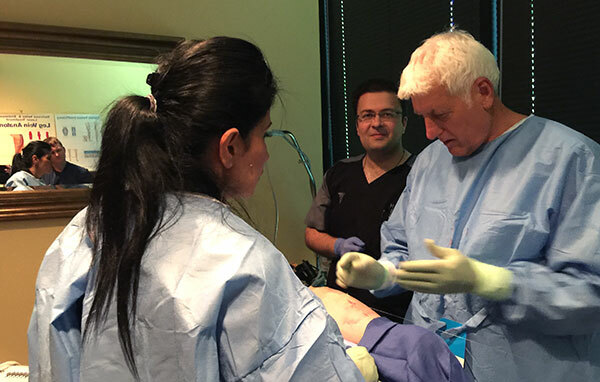 We offer one day or two day training sessions with our physicians where you will have the opportunity to directly observe vein procedures, ask questions, discuss techniques and more. Contact us today at 407-900-8346 to discuss your training needs. Angiogenesis – How to avoid? When are micro-surgical techniques warranted? When is a laser warranted?